Most of us have probably experienced peer pressure at some point in our lives, and understand that it can often lead to harmful and risky behaviour. That said, there is a growing amount of research to suggest that peer pressure can also have positive effects. 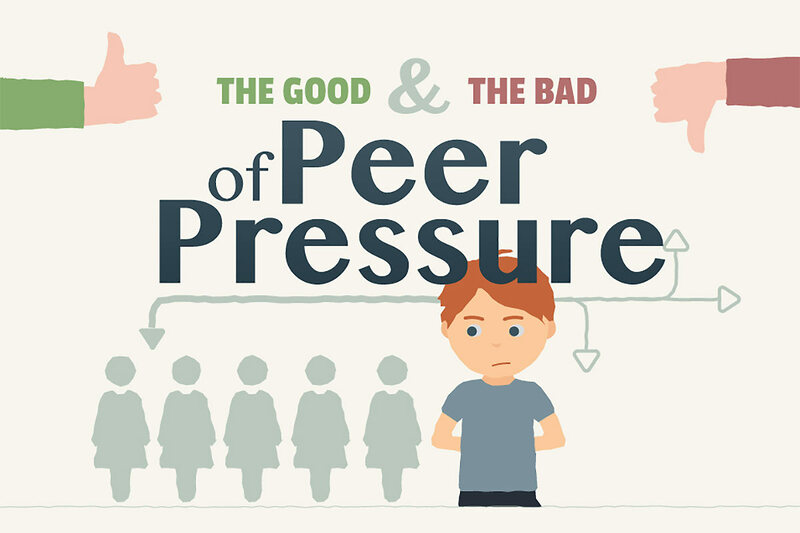 The infographic below from woodentoyshop.co.uk explains the science of how peer pressure works, how to help children recognise and deal with it, and how it can sometimes actually be good for you – especially if the leader of a social group behaves positively and encourages other to do the same. ‘Positive’ peer pressure can hep people get healthy, motive them to work harder and encourage them to try new things. Do you agree that peer pressure can be healthy? Let us know in the comments.